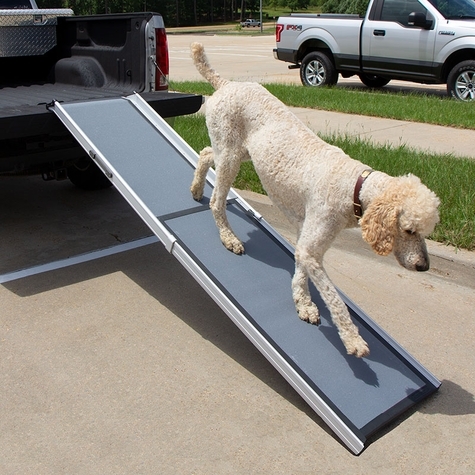 Give your dog a more gentle climbing angle and extra walking space. 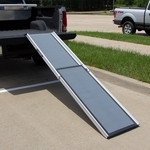 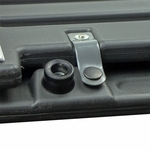 The Solvit Deluxe "XL" Telescoping Pet Ramp is the Extra Large version (42% bigger) of their Deluxe Ramp. The extra size provides a more gentle climbing angle and extra walking space to help your dog reach higher elevations. 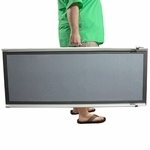 Weighing in at 18 lbs., it still supports over 300 lbs. 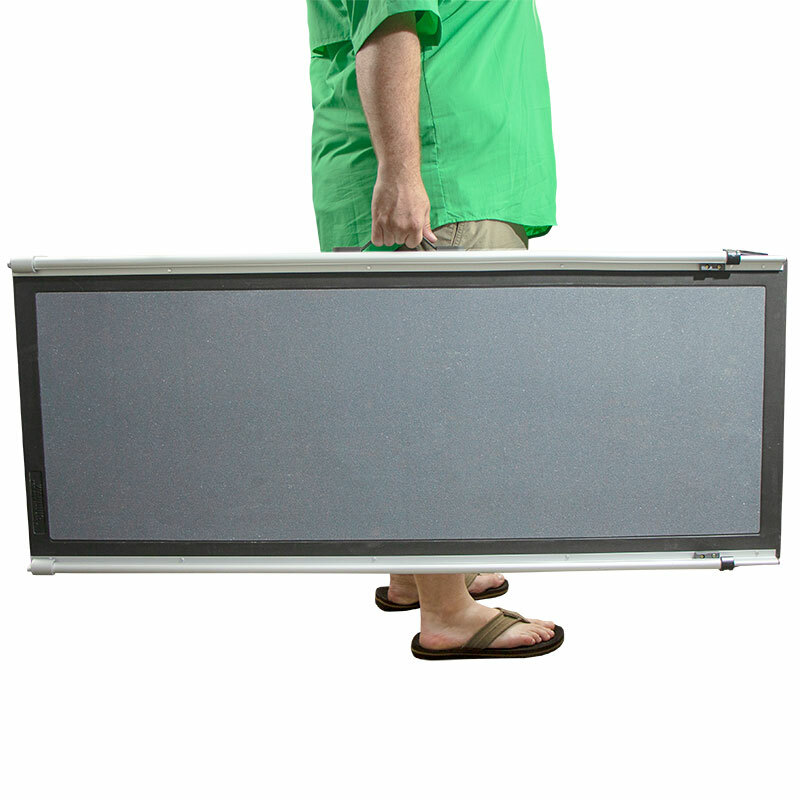 with no bending. 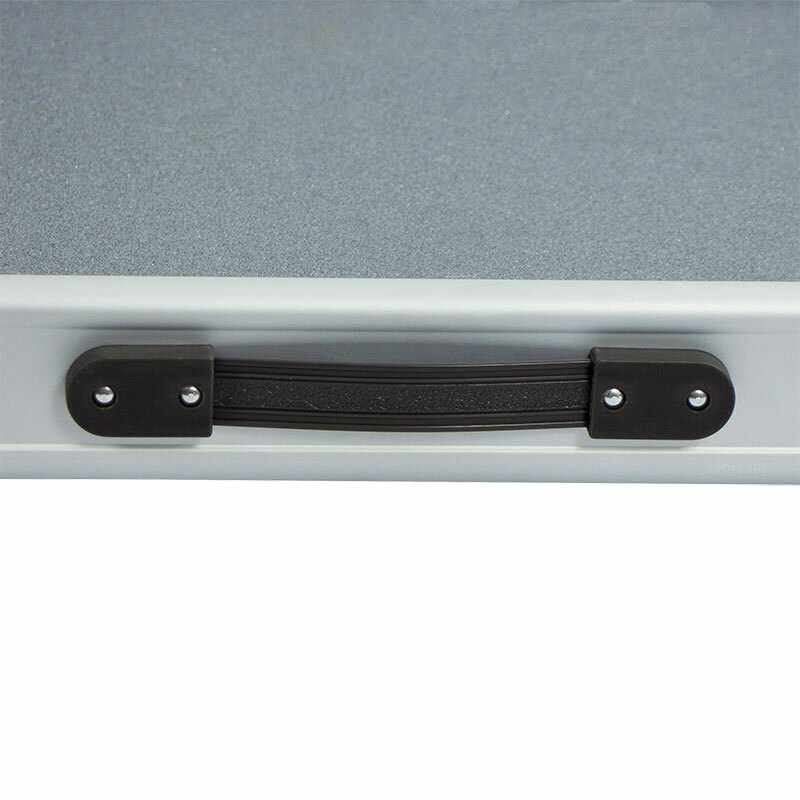 Its combination aluminum and plastic design makes it lightweight and compact without sacrificing strength, making it easy to use and store. 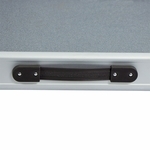 Adjustable from 47" to 87"
Use it fully-extended for SUVs, pickups, as a grooming table, etc.